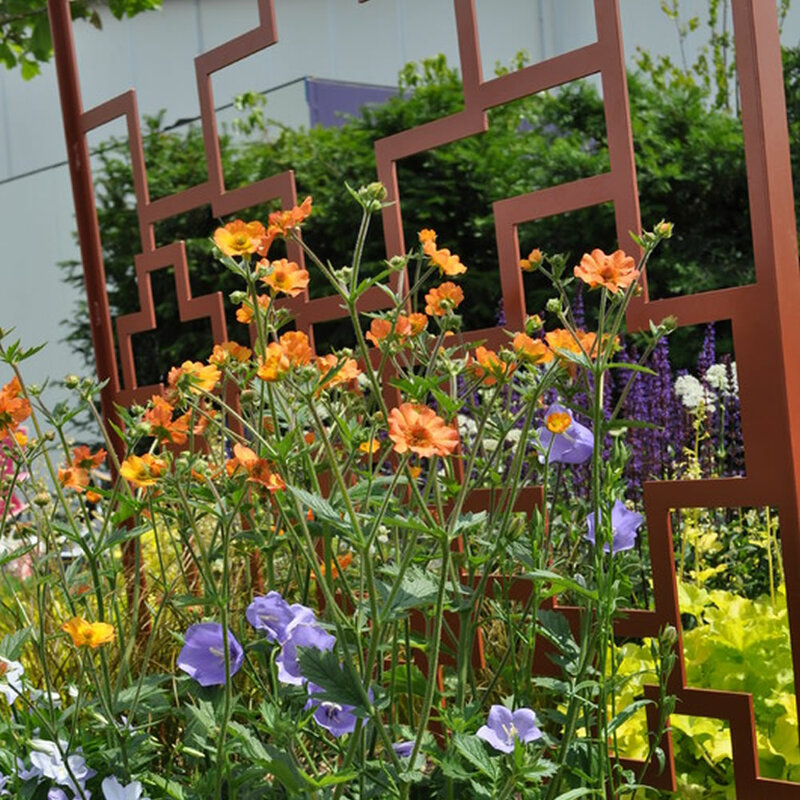 Laser cutting gives the opportunity to add shape and form to any scheme whether screening, divisions, plant supports or just as decorative panels. 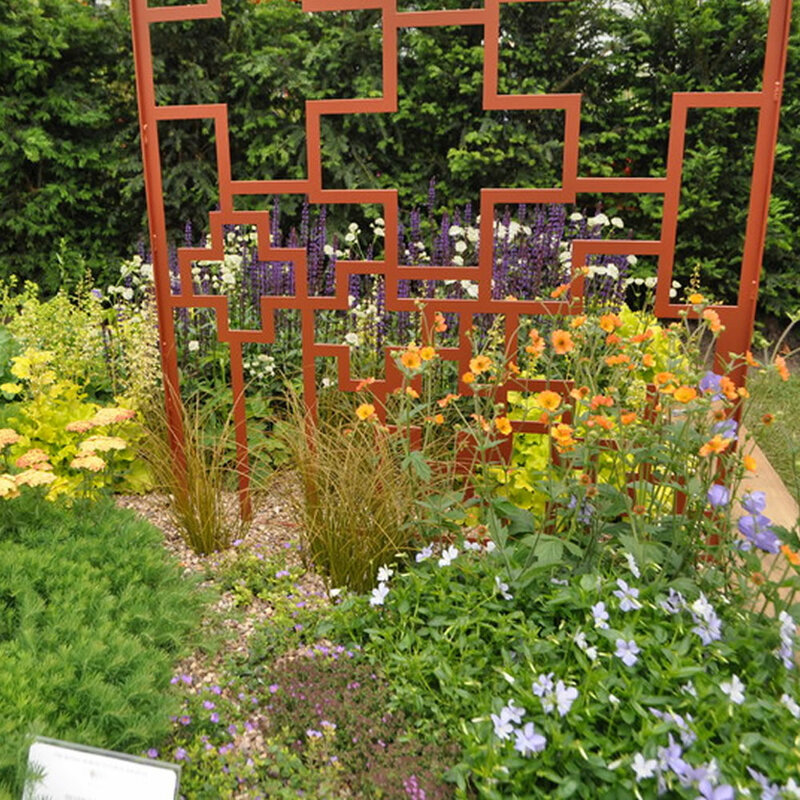 Generally, if it can be drawn, it can be cut, so the design choices are limitless. 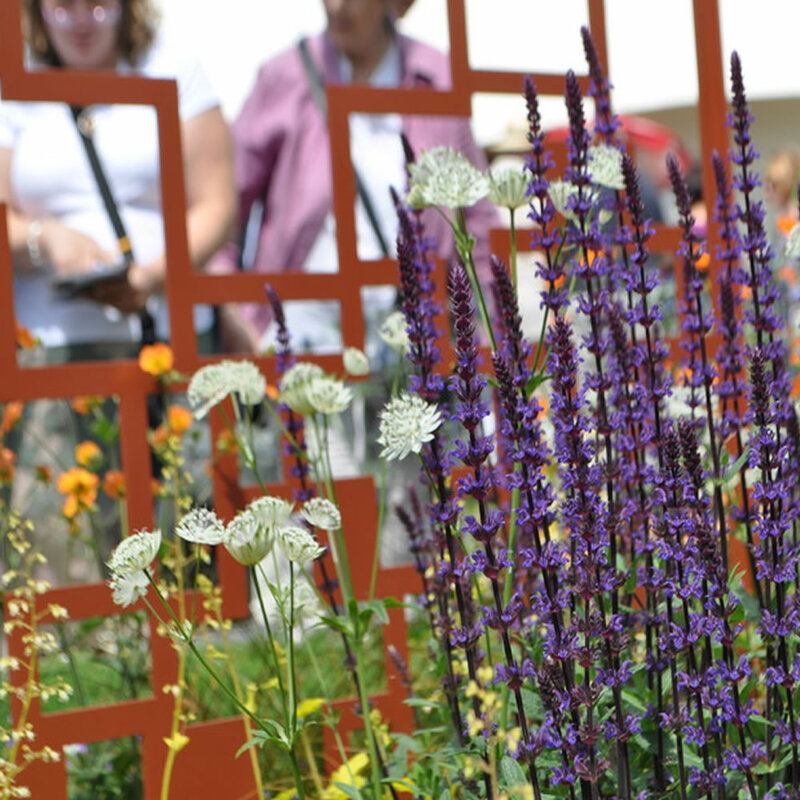 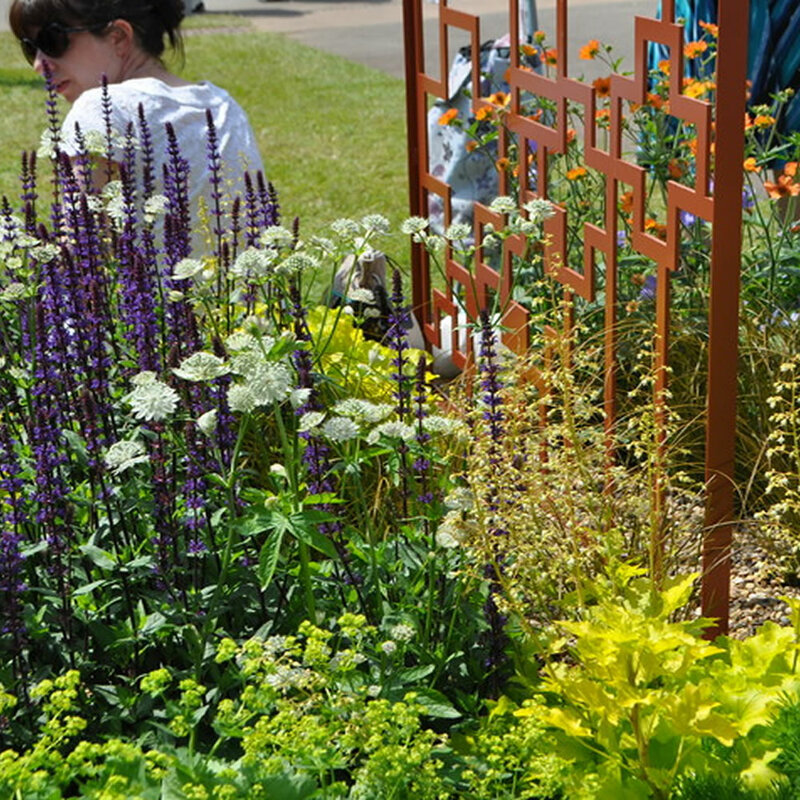 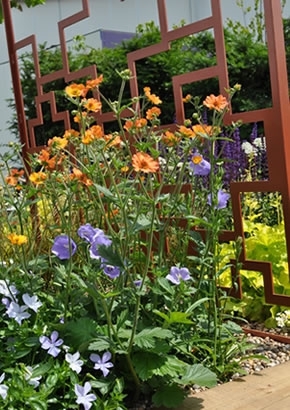 To form part of a show garden for BBC Gardeners World Live 2014 designed by Judy Shardlow, we were commissioned to design and manufacture a decorative laser cut panel to add height and structure to the scheme. 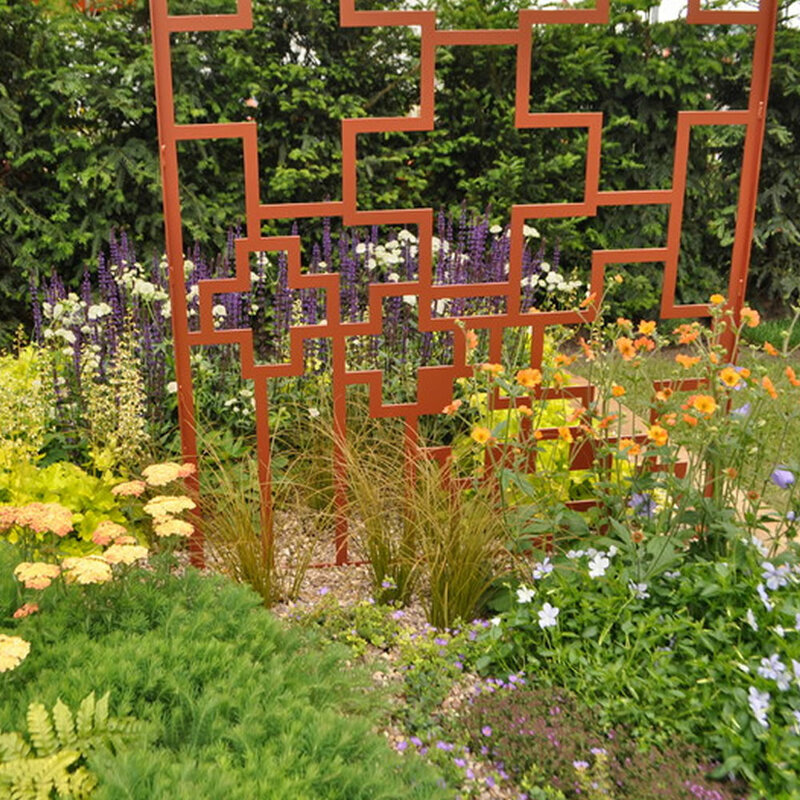 The panel measured 1.52m high x 1.12m wide with the base set below the surface for connecting to the sleeper surrounding the garden. 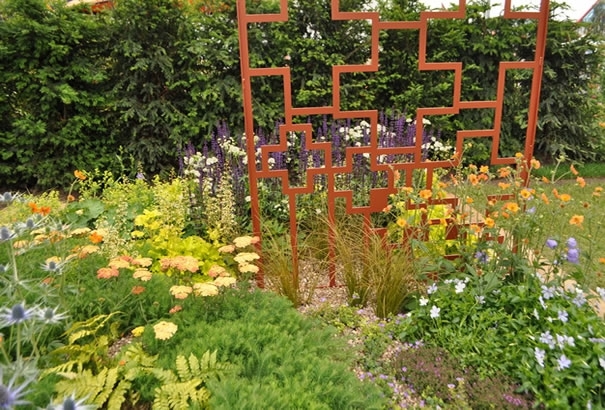 Because the panel was laser cut, we were able to use 6mm thick mild steel which adds a third dimension to the design.